Amazon is selling Pixelmator for $17.99 with free shipping , this is a remarkable 70% off the retail price of $59.99. This huge discount is a Cyber Monday only deal with a limited number of copies available, so grab it before it sells out. 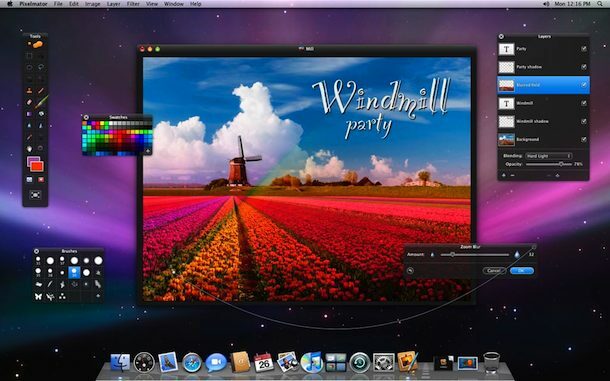 Pixelmator is a great image editing application for Mac that has all the features you’d expect from an image editor but without the high price tag. Cropping, selecting, paintbrushes, text tools, layers, tons of color correction and adjustment tools, full iPhoto support, what’s not to love? In many ways it’s like a lighter version of Photoshop, and for most users Pixelmator is probably more than sufficient to accomplish most of the tasks you’d want to complete with an image editor. If you’re looking for a great deal on an image editor for Mac OS X, Pixelmator for $17.99 is it, this beats any coupon or other online deal by a long shot. 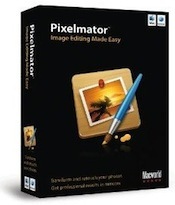 Head over to Amazon to grab Pixelmator for $17.99 including free shipping. GIMP is free. Most anything done in Photoshop can be done in GIMP, not including the 3D capabilities. I’ve come close. Just takes patience, time, and some elbow grease.